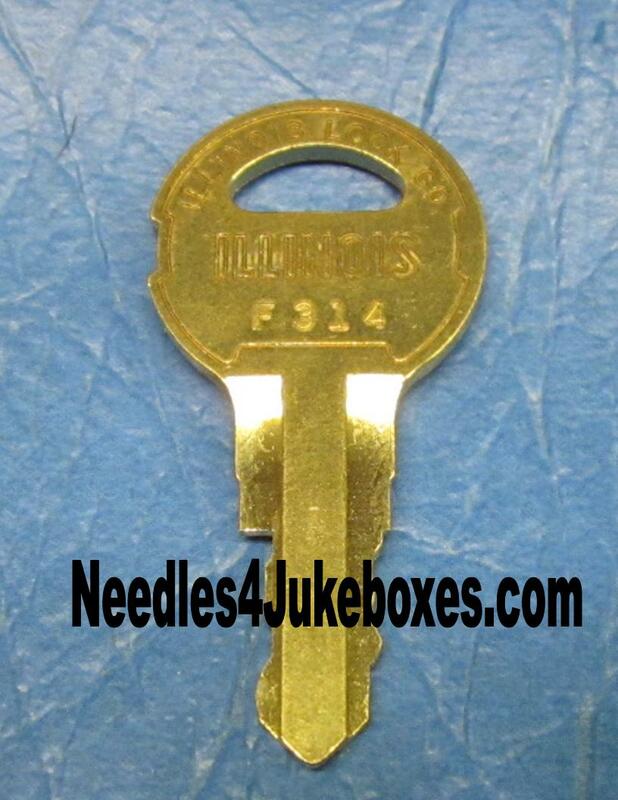 Need a Key for your Seeburg Jukebox? 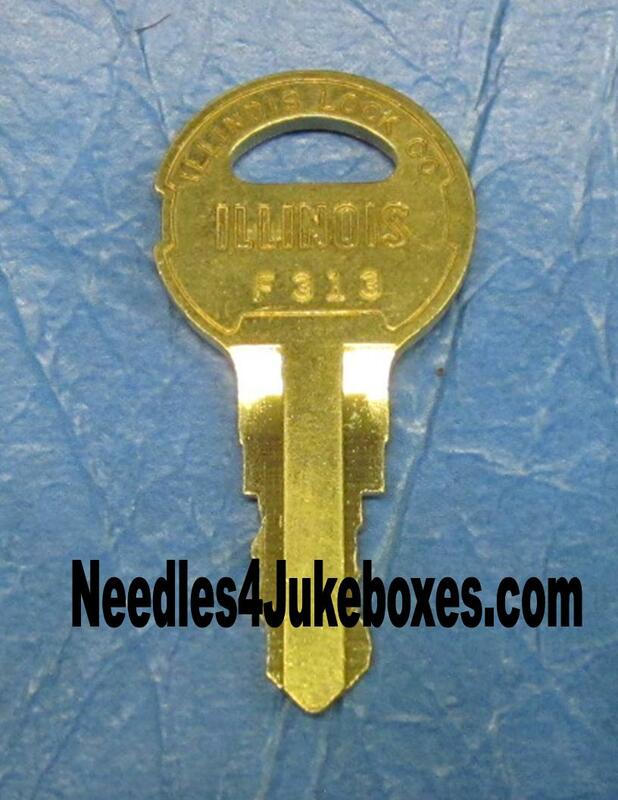 They will not fit cash box doors or non-original cabinet locks. 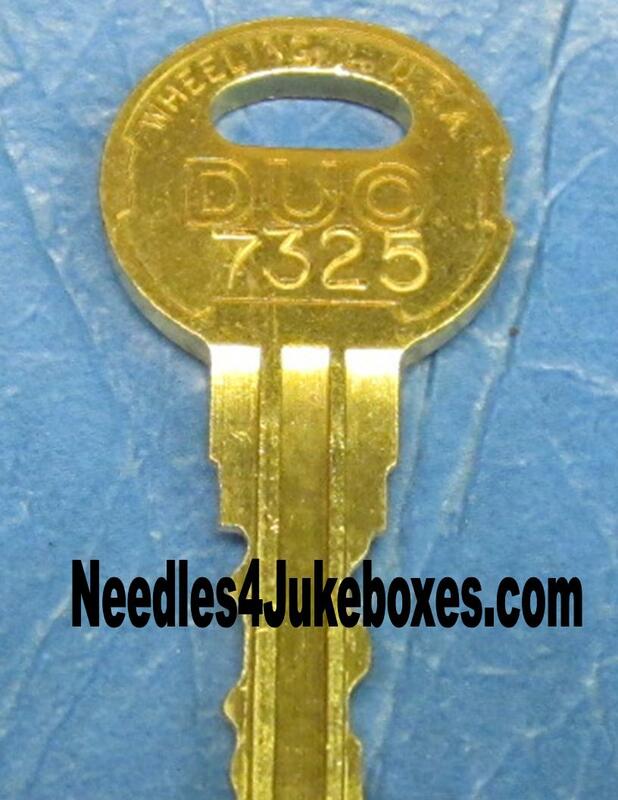 Every cash door lock is unique and there is no standardized source for them. 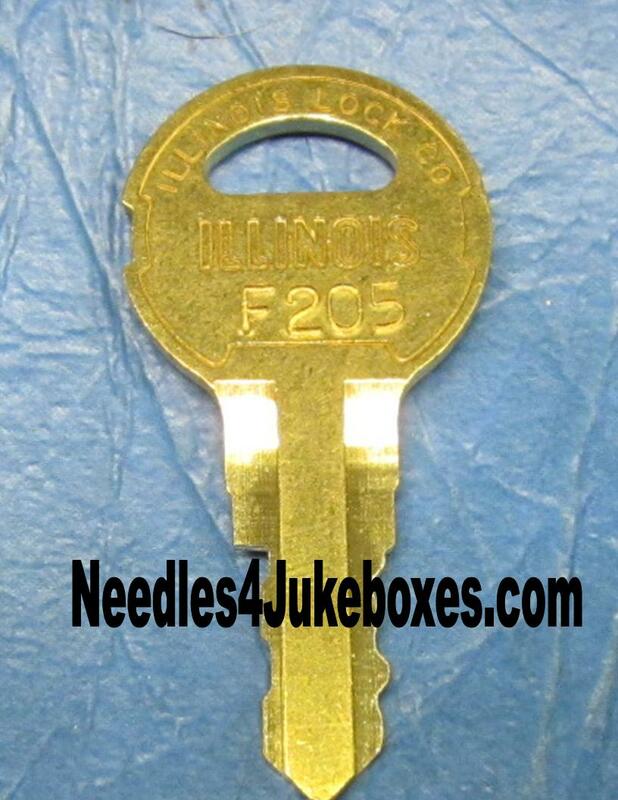 If you're missing the key to your cash box door, there are two solutions: Replace the lock or have a locksmith fit a new key. 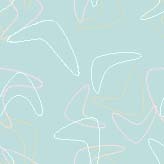 I need your help completing the listing below. 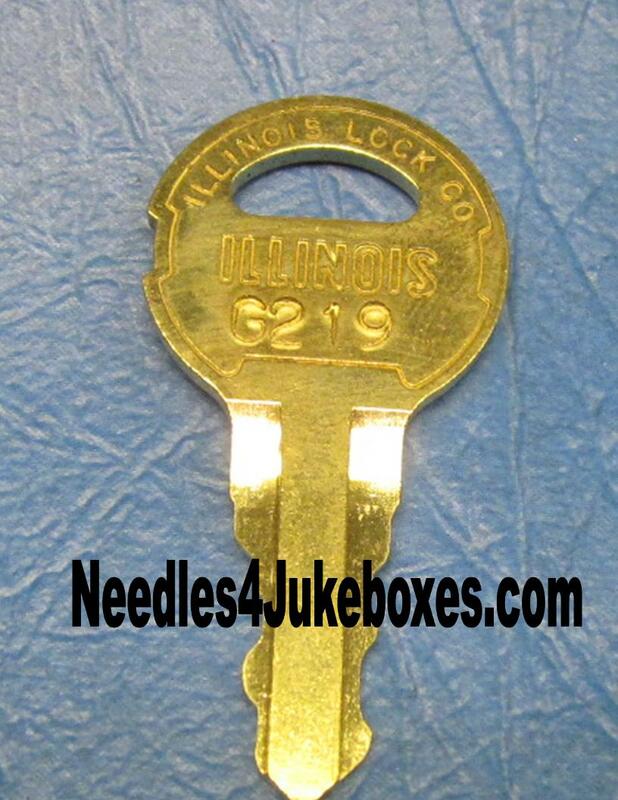 If you have a Seeburg built before WWII with the original lock and matching key, please email me with the model of the jukebox with the key number/s and which lock/s it fits. The Following Numbers are Currently Available. 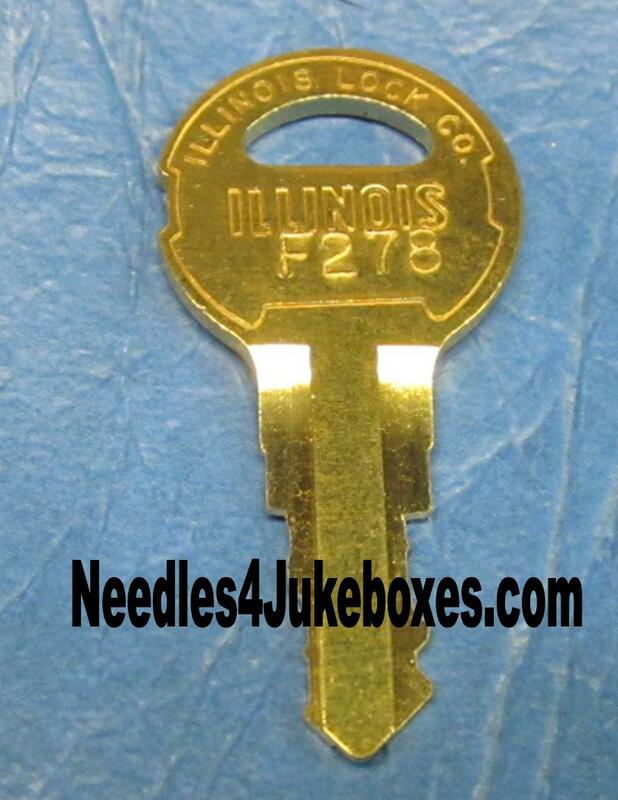 The L7325 and L7380 are both used on Seeburg models P-146, 147 & 148. 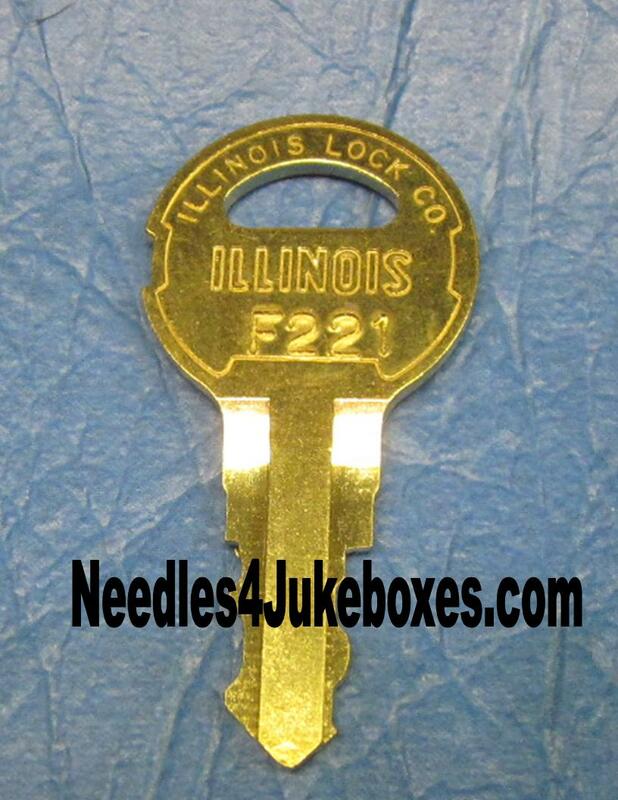 This is what the face of your lock and key slot should look like on a "Trashcan" model. 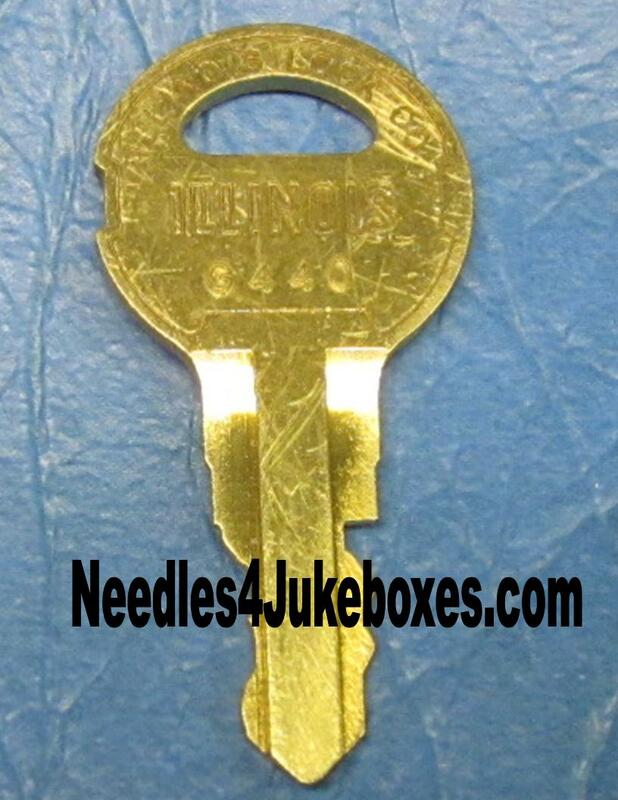 One key fits the lid and the other fits the front and back doors. 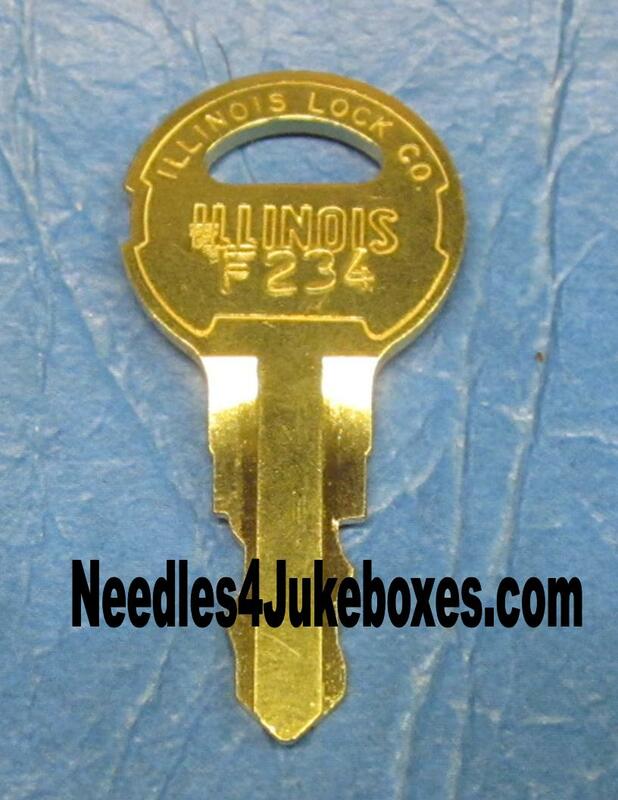 All Seeburgs the locks listed below are Illinois type and should look the lock below. Except the for the SMC1 & 2 models. 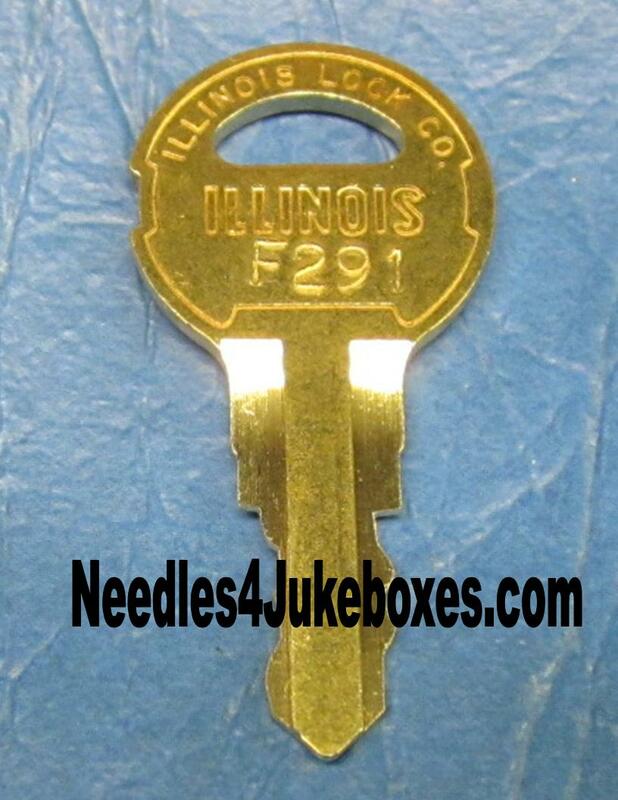 Early models like the 100A, B and C will have an antique copper or bronze finish, the V200 is gold and all models after should be chrome as shown. The G219 fits the M100A, 100B & 100BL Models. The G245 fits the M100C model. 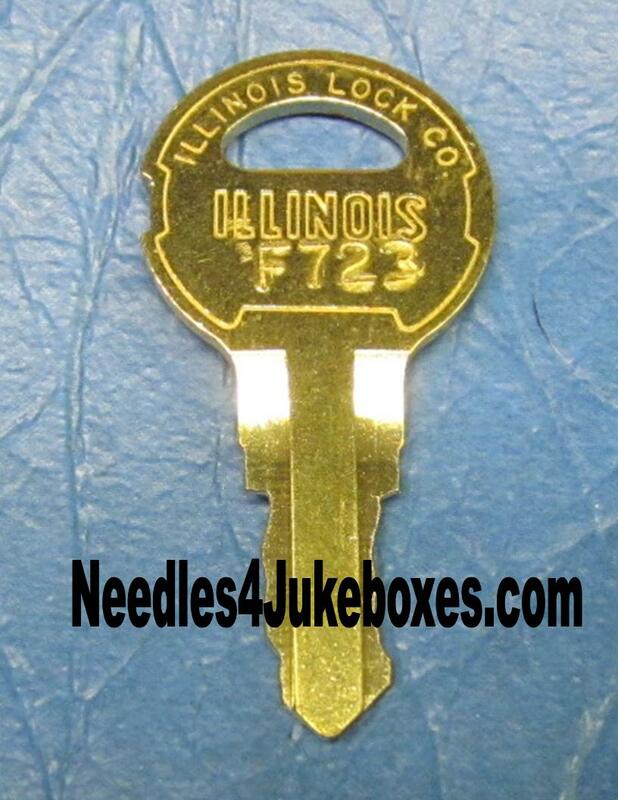 The F221 Key fits the HF100G & 100W models. 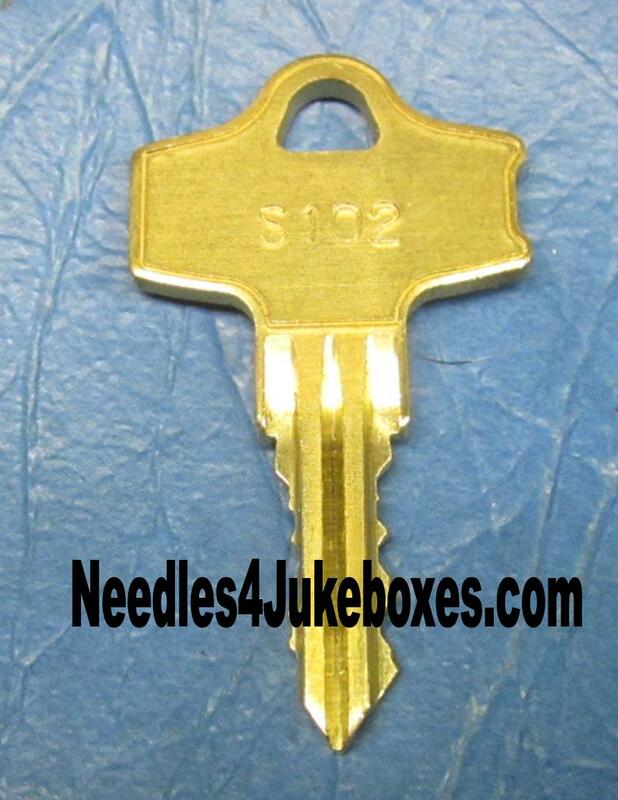 The F282 key fits model SEP1 Seeburg Encore units. 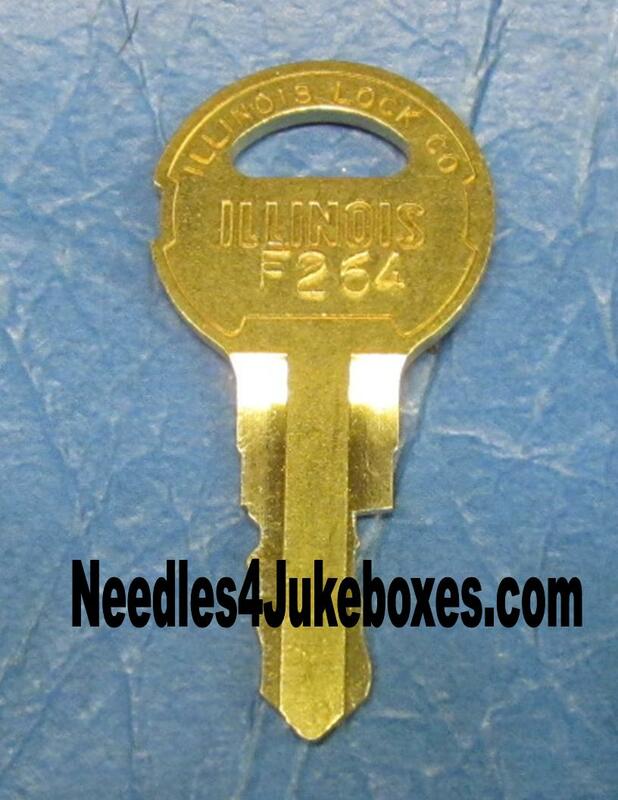 The F234 fits Seeburg Library Units with the lock located in the glass front door. 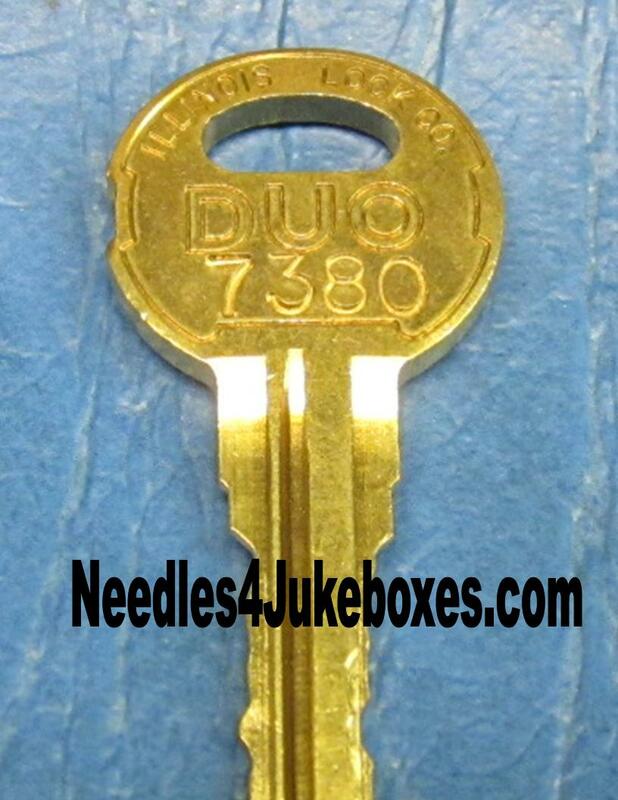 The L290 key fits the BMS/BMC (Background Music System) players. One looks like a microwave oven, the other sort of like a portable sewing machine. 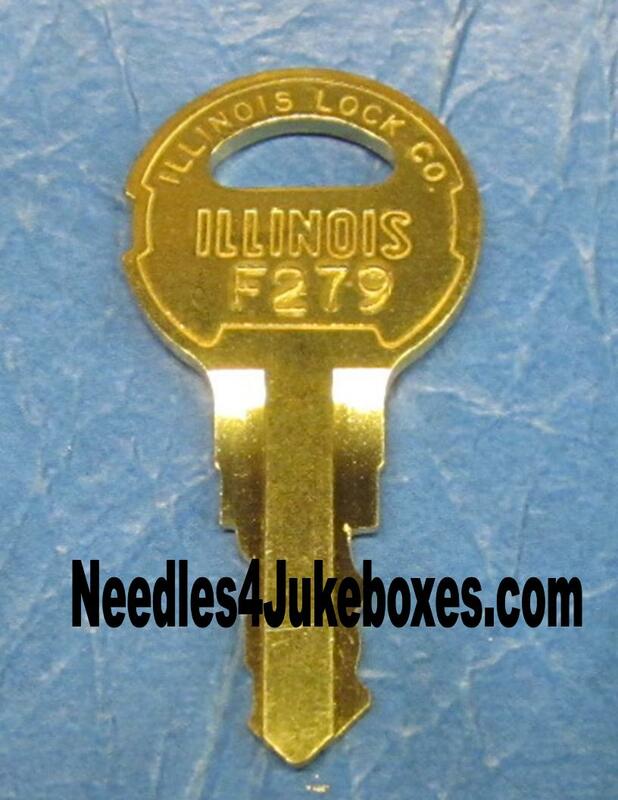 The F278 key fits the LPC-1 & LPC-480 models. 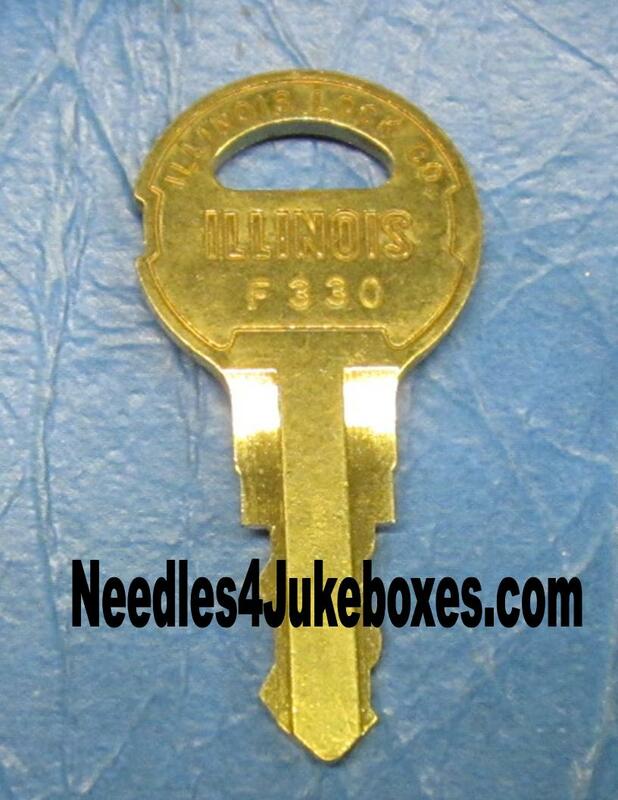 The F330 key fits the U100 Mustang Model. 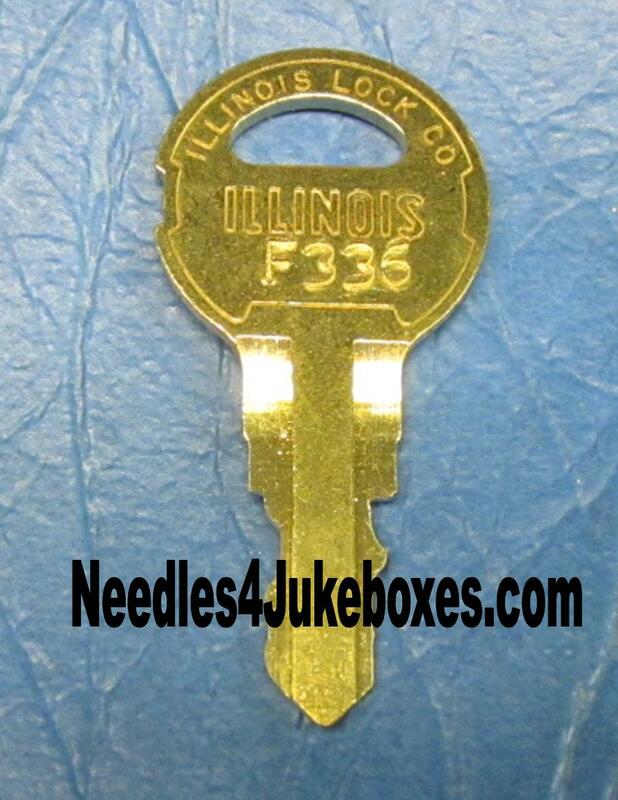 The F336 key fits the PFEA1U Electra, APFEA1 Fleetwood & SS-160 Showcase Models. 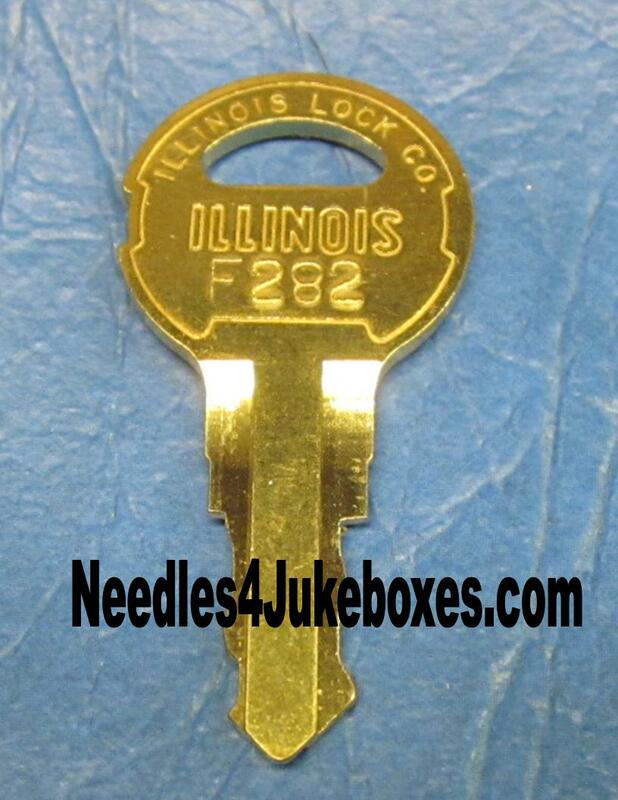 The F205 key fits the S100 Phonojet, LS1 Spectra, LS2 Gem, LS3/325 Apollo and SE100 GoldenJet Models. 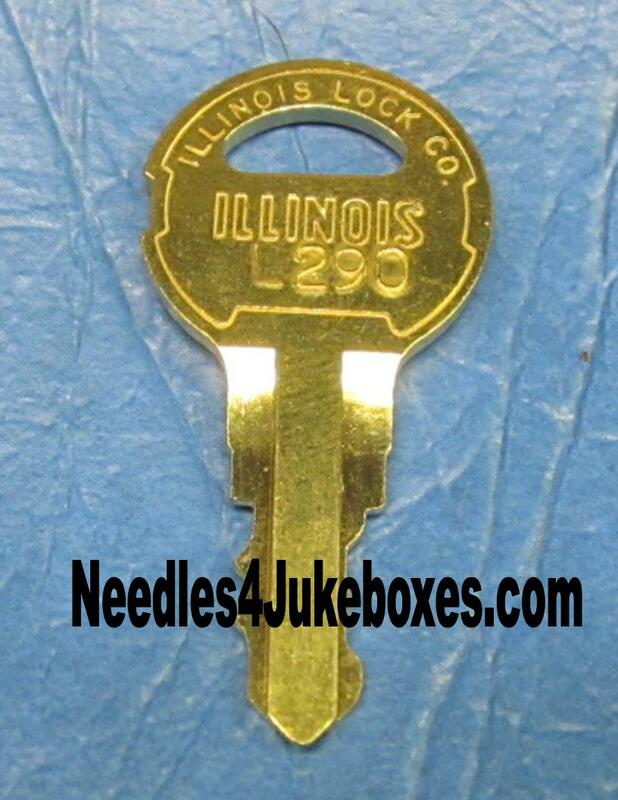 The lock is unique to these two models only. 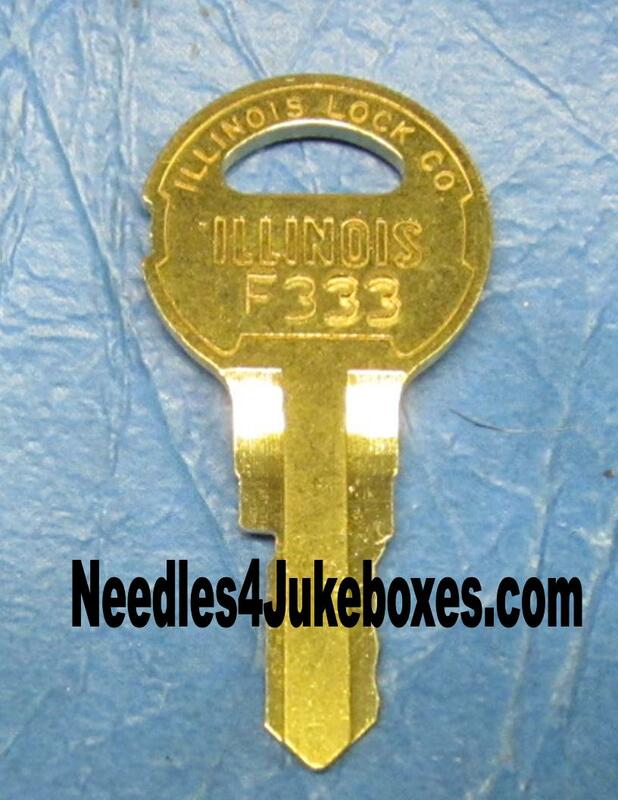 The F333 key fits the Late SMC-2 Phoenix, all SMC3 Prelude Models. 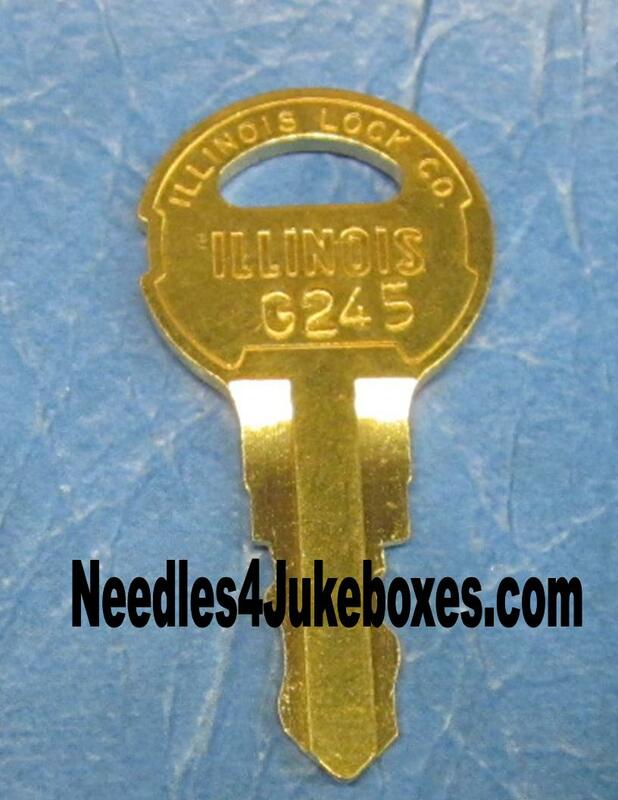 The G440 key fits the VMC1 "Video Music Center"
Need Replacement Locks for Your Seeburg?